We have been keeping our eyes peeled for deals throughout this holiday season and will continue to do so for the next few weeks. What we found today is one of the best prices to date on a laptop wielding a GeForce GTX 1060 GPU. It's the MSI GP62MVR Leopard Pro-248 and it's currently marked down to $999 on Newegg. That's $300 off its normal selling price, plus there's a $100 mail-in-rebate available that brings the price down to just $899. 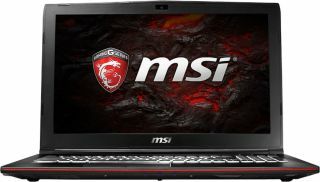 What you get in return is a gaming laptop with a 15.6-inch Full HD 1080p (1920x1080) IPS display, Intel Core i7-6700HQ processor, 8GB of RAM, and a 1TB hard drive. Obviously a solid state drive would be preferred, but at this price you could always add one in and still have yourself a high-end laptop at a great price. External connectivity consists of a single USB 3.1 Type-C port, two USB 3.0 ports, and a USB 2.0 port. The laptop also has HDMI and mini DisplayPort outputs, a headphone amp, four 2W speakers, Killer Gaming E2400 LAN, 802.11ac Wi-Fi, Blueooth 4.0, 720p webcam, and a Steelseries keyboard with backlight. This is today's "Shell Shocker" deal on Newegg and is good until midnight (PST) tonight. Go here to check it out.